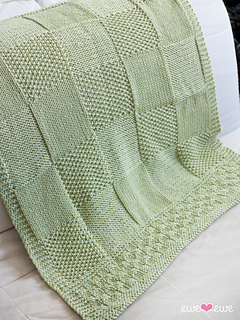 Big blocks alternate stitches back and forth on this beautiful baby blanket. 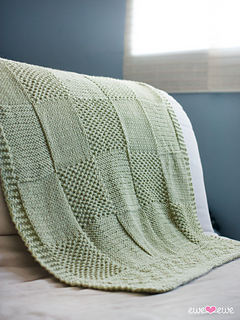 Knit in Baa Baa Bulky washable merino yarn, this blanket is only knits and purls and great of any level of knitter. 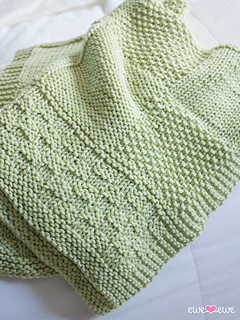 Gauge: 12 sts to 4” in stockinette stitch.